The knowledge of our true natures as spiritual beings is "held" in the Past, found in the Present, and lived into in the Future. 2012 is the year when these three aspects of Self came together, like never before. The Being known as Pi, our new World Soul will be making her final infusion into the grids of the planet in mid-October, in the Sahara Desert of Morocco, and then a week later with asmaller infusion into the Island of Gran Canaria, thus uniting the Past, Present and Future into a current and deeplyexperienced new alignment. Morocco is the perfect place for this to occur, as it is an ancient crossroads, both energetic and geographical. This exotic and diverse Kingdom was populated by the fierce and indigenous Berbers and conquered by the Arabs 1300 years ago. Today it still embodies these ancient traditions, plus those of its Roman conquerors, along with the more recent French colonial influences, and stands as the Bridge between Europe and Africa. It offers the Sahara Desert with its lush oases and earthen architecture, the Atlas Mountains, whose high reaching and mighty rocks form the backbone of this land, and the unique and dynamic Imperial Cities of Marrakesh, Rabat, Meknes, and especially Fez, often called the world's best example of a living medieval city, plus the country's largest and most progressive city the gleaming, romantic, and white-washed Casablanca. Morocco also exists as a bridge to the past and the fallen continent of Atlantis, one of whose remnants is the Canary Islands. Since the fall of the Atlantean civilization, humanity has lost itsmemory of working in true harmony with Nature. That evolutionary dead-end is now on its way to being healed as we awaken and really know ourselves for the first time. By holding the crucial knowledge of the "wrong way" (attitudes towards life which are toxic), we can prevent this downward spiral from ever happening again, and finally come into sovereign partnership with Nature, by releasing the stance of dominance. If you want this adventure, come and get it!! Travel is an initiation into new realities, as whole worlds of sights, sounds and realizations beckon us forward, to stretch us into imagining how to play a fuller role, the role of a lifetime, that of being the Self. We look forward to travelling with you! Casablanca, located on the Atlantic Ocean, is Morocco's largest city, its chief port and the sixth largest city in the continent of Africa. Known as Casa, or Dar el Baida, Casablanca very much resembles a Southern European city, with its uniqueness arising from the blending of many cultures. It is energetically fast and stimulating. It is considered to be the economic capital of Morocco because of its extensive influence on Moroccan businesses and its’ liberal and progressive attitude. There is a sense of freedom and possibility, of expansiveness and generosity, a welcoming hospitality and eagerness for the new. It is the perfect city with which to “open” the trip. 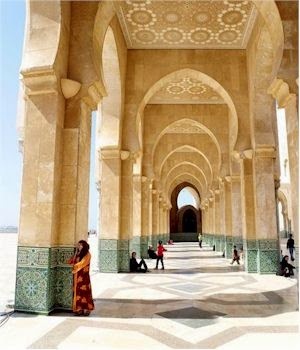 This afternoon’s half day sightseeing tour includes the exterior of the gorgeous Hassan II Mosque, which is powerfully situated on an exposed promontory overlooking the ocean, and a visit to the lovely Corniche seaside. We then continue for a short drive through the residential areas of Casablanca towards the city center to visit the Mohamed V Square with its lovely central fountain, the French built Habous Quarter, and the Notre Dame de Lourdes Cathedral, with its’ massive 800 square meters of stained glass. As we journey through the city, seeing, smelling, listening, tasting and touching, we anchor through these sensations of our five physical senses in order to better receive the more subtle energies that pervade this dynamic environment. This morning we say goodbye to Casablanca and drive to Rabat, the capital city of Morocco. 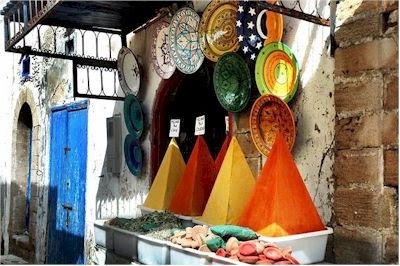 While in Rabat, we will view the Royal Palace (residence of the King), the ancient ruins of Chellah where an enchanting garden entrance leads to a terrace affording an unparalled view of the entire Roman ruins complex, then the Oudaya Kasbah fortress whose construction began in the 11th century, and the monolithic Hassan Tower. Rabat's history dates back to the third century B.C., with the settlement of the Chellah colonies. It was later ruled by the Romans, and in 1146, Abd al-Mu'min turned Rabat's ribat (ribat meaning stronghold) into a full scale fortress, in order to use it as a launching point for attacks against Spain. Rabat is known for its festival culture, (music, film and art), plus the stately serenity of its great, wide avenues, gardens and promenades. After visiting Rabat, we travel through Meknes, a medieval city surrounded by 25 miles of ramparts, and entered into by six gates. We will stop to see the most exquisite entrance gate in the city walls, the Bab Mansour. This place has changed so little over the centuries that to visit here will be like entering a time machine, or waking up inside of a dream. Then on to Fez, one of the most interesting historic cities in Morocco, where we will have an orientation at the hotel. Founded in the 9th century and home to the oldest university in the world, Fez reached its zenith in the 13th–14th centuries under the Merinids, when it replaced Marrakesh as the capital of the kingdom. The urban fabric and the principal monuments in the medina – madrasas (schools), fondouks (areas of inns and craftsman workplaces), palaces, residences, mosques and fountains - date from this period. 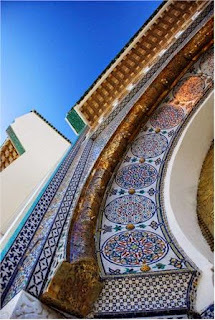 Although the political capital of Morocco was transferred to Rabat in 1912, Fez has retained its status as the country's cultural and spiritual center and it is considered one of the world's best examples of a living medieval city. The sense that time has stood still, or that it is just spinning in a circle, going over the same themes, again and again, is an important one to use when becoming more aware of the multi-dimensional nature of Spirit. Spirit lives in form, through linear time and spherical time, and the marriage of these two types of time will be much of the focus of this trip. Our day begins with some time to wander through the narrow alleyways of countless souks (bazaars) linked together, like tight beads on a necklace, through the common desire of selling and buying, just like the human body that breathes in and breathes out, and thus lives its life, the souks are like breathing creatures of the city! There are many colorful and “muscle-using” tanneries to visit, which employ the same production methods today as have been used for hundreds of years. All of this is set in the ever present, ancient, and remarkable style of Islamic architecture, juxtaposing the qualities of airy-spaciousness and massive strength. Later, we visit Fez Jdid (New Fez), planned by the Merinids in the 13th century to incorporate the Royal Palace and Gardens and the administrative center of the city. Fez is a jewel of Spanish-Arabic civilization and considers itself to be the symbol of Morocco. Our departure from Fez leads us further inland to Merzouga, via the cedar woods of the Middle Atlas Mountains (cedar trees hold the energy of the heart chakra), passing by Ifrane, a charming ski resort, and Azrou, an important handicraft center. Following a rest stop in Midelt for aromatic foods and nourishing teas, we continue on to Erfoud via Errachidia and the lush palm green Ziz Valley. Erfoud is a popular destination for filmmakers because of the beautiful views of the Sahara Desert that this town's location affords. The rhythms of travel, punctuations of moving and stopping, always making new adjustments, brings forth in each of us the space for something new to grow. We are not habituated to anything because everything is so different and always changing. As we let go and embrace the unknown, deeper perceptions are possible as the Light can move more easily through a transparent (non-rigid) human. We see how far we can bend, but not break. At this point we leave all civilization behind and enter the Sahara Desert. 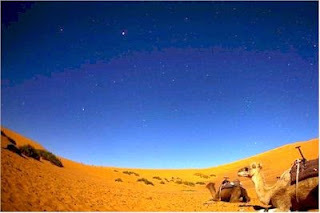 We will arrive into a little desert oasis called Merzouga - a small village of clay buildings and tents, where Bedouins (Arabs and Berber) take a rest from life on the desert sands. It is located exactly in the middle of nowhere. This is the place to really feel the surrounding desert. We are still in Morocco, but only 30 miles from the Algerian border at this point! Some of the sand dunes here are over one thousand feet high, soaring like huge castles of sand. The ultra-still energy of this place, due to its remote location and abundance of silicon-quartz sand, helps in promoting a natural meditative state to occur. 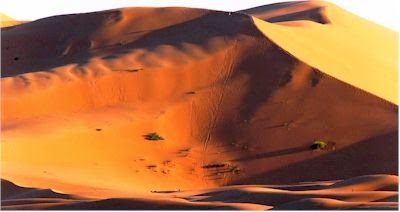 And at night, as the wind blows through, we will hear the dunes sing their crystal songs. 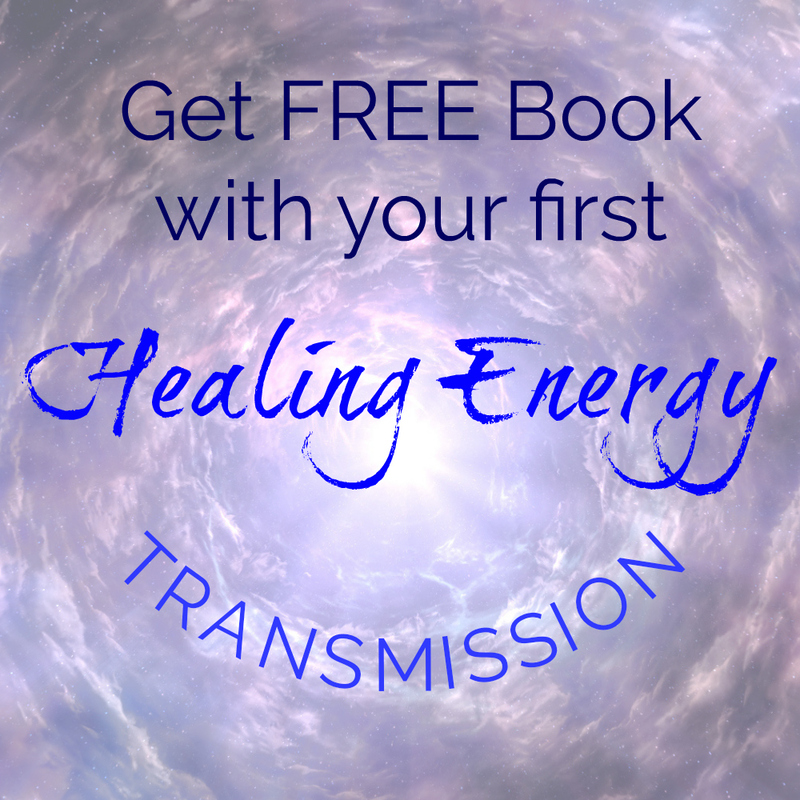 Today Pi creates her last major energy infusion before fully linking with the planetary matrix of Earth in December. This geographic location has such a natural purity that it is able to receive the very strong and harmonious frequencies that Pi will be bringing in. The silicon and quartz make-up of sand acts like a bio-chip circuit to record and transmit the new incoming intelligence of Pi. She brings it in, the planet receives it and we learn how to use the codes. That is the deal. The desert landscape will be welcoming the magenta-purple fire of Pi, as we in ceremony participate and become the human bridge. Spirit-Human-Nature. Then we ride our camels back to the hotel in time for a delicious and well-earned breakfast. 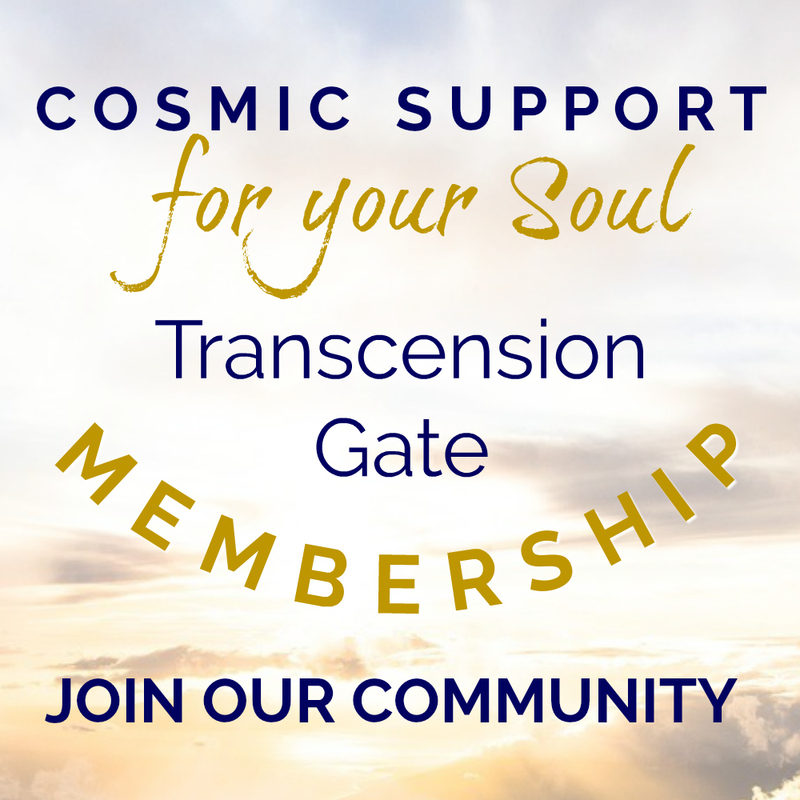 The rest of the day is free to meditate, walk, journal and hang out with friends! Today, we continue on to Rissani, birthplace of the present ruling Alaouite dynasty, to visit its 17th-century Kasbah and the Ksar Abbar ruins. Next we journey to Tinghir, a stunning mountain oasis town rising on a series of riverside terraces filled with palm trees. It is also the site of the former French Foreign Legion Post. As we continue traveling on the Tinjdad Road, past kasbahs and palm groves, we will stop to visit the magnificently carved Todgha Canyons, which rise to a towering 820 feet and are one of Morocco’s most sought after destinations. Next will be the Dades Canyons (a smaller version of the Grand Canyon of the US), as we continue on to Ouarzazate, via the Road of the Thousand Kasbahs (an ancient caravan route) and the Dades Valley, famous for its roses and the yearly Rose Festival. The rose vibrates at one of the highest frequencies for any flower and that is why it is so associated with consciousness of Love. 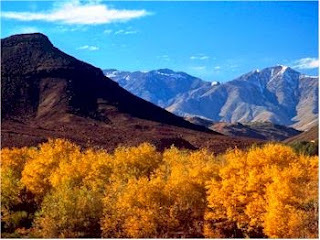 Traveling by this scenic route through the High Atlas Mountains we arrive in Ouarzazate, nicknamed, “Pearl of the Sands.” Long ago in its history, this city had been a crossing point for African traders seeking to reach northern cities in Morocco and Europe. Ouarzazate is now a relatively small and quiet town, perched on the mountain’s edge. Its name comes from a Berber phrase meaning "without noise.” After all of the fulfilling activities of the day, settling into our hotel, resting and renewing for the night, will be like heaven. And then on to Marrakesh via the highest road in Morocco - the Tichka Pass. It is a breathtaking experience to be travelling in the beauty of these jagged mountains, moving along the snake-like road as we wind our way through this impressive landscape and out of the High Atlas Mountain range. We will visit the well-preserved and ornately decorated Taourit and Tifoultout Kasbahs, ancient residences of the former Pacha of Marrakesh. Then the Casbah of Ait Benhaddou, which has been a UNESCO World Heritage Site since 1987. Several films have been shot here, including Lawrence of Arabia, Gladiator, Alexander, The Mummy and The Last Temptation of Christ. Upon arrival we will have an orientation tour in Marrakesh, which is a real gem among the imperial cities of Morocco. Marrakesh is not only a fabulous place to visit, but also a true symbol of ancient Morocco. Founded by the Almoravids, Marrakesh remained a political, economic and cultural center for a long period. Its influence was felt throughout the western Muslim world, from North Africa to Andalusia. The city tour includes all of the principal sites that define Marrakesh. We will view the towering Koutoubia Minaret, then visit the Dar Si Said Museum, the Menara Gardens, and the Saadian Tombs. The Menara Gardens, considered to be the most romantic place in the city with its singular, elegant green-tiled building, surrounded by a serene lake built in the 12th century, provide a haven and a refreshing meditative interlude. Next we continue on to Djemaa El Fna Square, where street performers, storytellers, snake charmers, and magicians create a spectacle to behold. It is one of the busiest squares in Africa and in the world, and is always bustling with acrobats, singers, water sellers, dancers and musicians. Today, enjoy a full day at your leisure in the imperial city of Marrakesh, located at the foothills of the snow-capped Atlas Mountains. Within the ancient walls of the medina, daily life follows a centuries-old pattern. Goods are cheerily haggled over, as is the expected custom, in tiny shops and merchant stalls, often over glass after glass of hot mint tea (as sweet as liquefied chewing gum). Craftsmen pound out designs on brass, as the echoes reverberate along narrow passageways where veiled women move gracefully through the day's activities. Marrakesh's souk is best known for its circus-like square, a dramatic stage for humanity’s expression in this ancient city that is so fascinating to be a part of !! 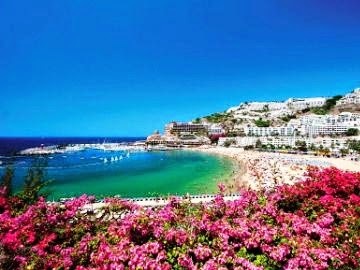 We will bid farewell to Morocco and fly to the Canary Islands – our destination is the gorgeous island of Gran Canaria. Since the time of Atlantis’s sinking in 10,800 BC, the Atlantean people on the Canary Islands began to de-generate, as the planetary consciousness fell. But they did manage to retain some of their previous glory. If we imagine going back in time, and we arrived asking for help, the Guanches would strive to give us all that we needed, as if we belonged to their tribe. The Guanches maintained, right up to the very end of their culture (they were eventually destroyed by Spaniards) a profound sense of hospitality. In the dialect spoken on Gran Canaria, they would probably greet us with the traditional Tamaragua (good morning, welcome). They were aware of the Atlantean mistakes of trying to control nature, and so instead these refugees tried to relate to Nature and incorporate it into their lives. As if to mirror that belief, the airport in Las Palmas, where we will land, is the first airport complex that uses wind energy! Today Pi generates the “secondary aspect” (after the main energy infusion in Merzouga), as her energy anchors into Gran Canaria Island, going all the way down to its’ base (a huge mountain on the bottom of the ocean, with its tip being the visible island). This is a supportive mini-infusion, to help stabilize and expand the previous one in the Sahara. We will tune into the magenta-purple energy of Pi and be of assistance by using our focus and intent. This will be a full-circle moment as humanity under the guidance of Spirit, moves into the cycle of time that will mark its tenure as guardians of the Garden of Earth. Hundreds of years in the future, history will tell the story of how the unconscious humans almost destroyed the planet, but twice came back from the brink of disaster, and sanity prevailed. Why did Pi pick the Canary Islands for this anchoring? Because it is the fulcrum point for balancing the dual components of the "feminine" energy of Morocco and the ex-Atlantean "masculine" energy of the Canary Islands, as representatives of the necessary healing. Then from this juncture point the new harmony is distributed world-wide, making the seeds of compassion and oneness more readily available for all. Gran Canaria has been called “The Small Continent” because of its incredible variety of landscapes, which include mountain peaks, caves, deserts, wide sandy-white beaches, volcano craters, and tropical forests. It has been designated as a World Biosphere Reserve with over half of the island under that protection. The current inhabitants are doing their best to live in harmony with the great intelligence that Nature is.A day tour of the island will show us its beauty and diversity, and then we return to the sophisticated and elegant culture of the luxurious and relaxed city of Las Palmas. Use this day to return to your favorite sites, or just hang out relishing and absorbing the beauty of wherever you are. Each of us is like a crystal that generates, radiates and reflects that which we know ourselves to be, and that which we are to become. Take the many experiences of your journey and layer each one of them into the now fuller and richer legacy of You. We begin the journey back to our homes and say goodbye to the generous spirit that has been persevered through the ages and lives on in Gran Canaria, and in us.